Latin music has been growing in popularity in the United States over the past several years. Although hit Spanish language songs in the U.S. are nothing new, until recently there would only be one or two Spanish language songs to reach billboard status in the U.S. every five to ten years since the ‘60s. As U.S. music affects Latin American music, Latin music struggled to leave an impact on U.S. mainstream music— that is, until this decade. In 2014, if a person tuned in to a pop radio station, they would have heard ‘Bailando’, the hit Spanish language song by Enrique Iglesias’. 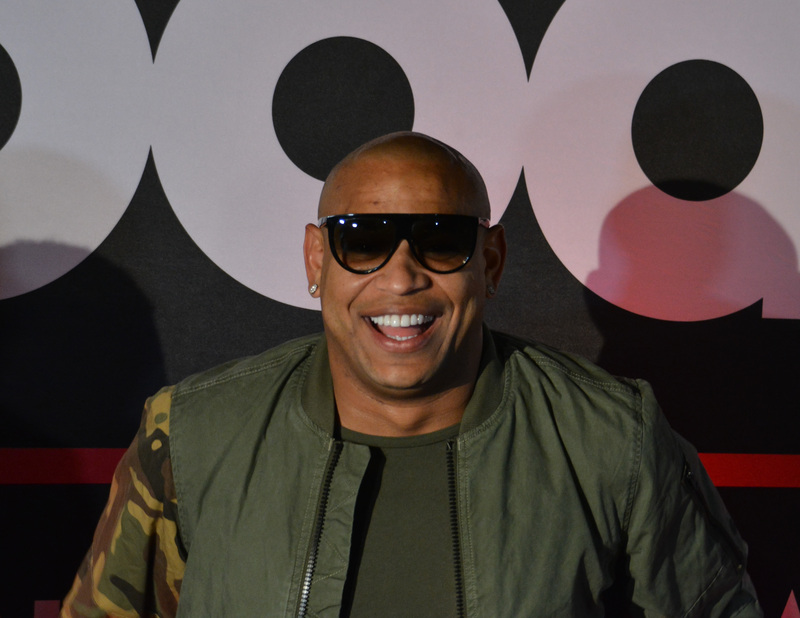 Although a ‘Spanglish’ version of the song was released shortly after the immediate success of the original, the Spanish version of the song remained in the charts as one of the top 15 songs on American billboards for 21 weeks (Cobo, 2014). Instead of disappearing for the next ten years, Latin artists collaborated with U.S. artists and remained in the charts the following years. Artists such as Pitbull, Shakira, Enrique Iglesias, and Daddy Yankee continued to be relatively famous among English speakers. In 2017, Latin music exploded in popularity once again with the release of Luis Fonsi’s ‘Despacito’. In just 203 days after the music video’s launch, it broke the record as the most viewed video ever on YouTube, won numerous awards, and tied the record of the longest time for a song to hold a number 1 spot on billboard’s hot 100 list (O’Malley Greenburg, 2017). Following ‘Despacito’s immense success, Latin music began to influence all genres of the U.S.’s most popular music. In 2018, Rapper Cardi B released ‘I like it’ collaborating with several Latin American artists and topped the US Billboard hot 100 list, Beyonce remixed Latin artists J Balvin and Willy William’s ‘Mi Gente’, and Will Smith is rumored to release a song with Bad Bunny and Marc Anthony tomorrow, September 28th (Cobo, 2018). Latin music’s rise in popularity may be due to the rapid increase in the U.S. Hispanic population. In 1970, there were an estimated 9.7 million Latinos living in the U.S. In 2016, the number of Latinos living in the U.S. was 57.5 million, nearly six times the Latino population in 1970 (Flores, 2017). Music plays an important role in personal expression and identity, and with an increase in Latino artists and music in the United States, Latin music has given Latinos a sense of pride in their heritage and identity. Music plays an important role in shaping a person’s identity. Jorge Andrés Herrera, adjunct professor at California State University argues that the music Latinos listen to influences their identity. He explains that growing up, many Latinos listen to mainstream music like pop, hip hop, and rock. Through his research into how music affects Latino identities, Herrera found that many young Latinos were “hesitant to admit that they like listening to Spanish music, as if they were ashamed to identify as being Latino”. He then added that after taking some Chicano studies courses as an undergraduate, he noticed that many of his peers began to realize that “it's important to relate to one's own culture by way of food, language and especially music". With the rising popularity of Latin music in the mainstream media, listening to Latin music is no longer something culturally obscure. Latin music has become one of the more popular genres in the U.S. today. “Herrera believes music helps shape Latino identity by empowering and helping those who have assimilated to mainstream music in the United States, reconnect with their true selves” (Moreno, 2012). For many Latinos, listening to Latin music is a way to embrace their heritage and identity. For the University of Pittsburgh undergraduate student Evelyn Zamora-Vargas, listening to Cuban music increases her pride in her Cuban identity. Growing up in Miami before moving to Pittsburgh, Evelyn feels that she was exposed to more Latin music than the average American. She describes the way that Latin music influences her identity by explaining that “the Afro-Cuban beats in most salsa songs make me feel united to my ancestral past. I feel nostalgic for a country that I was deprived of ever knowing and yet I feel all the more proud to be attached to it through music” She elaborates on her experience by saying that Cuban music “communicates an overwhelming sense of joy when you hear and sing about ‘la patria’ or ‘the motherland’, whether it be in dissent or agreement, there’s still a sense of pride to be a part of the country” (Zamora-Vargas, 2018). Evelyn and Herrera both believe that music brings a source of pride about one’s heritage, and identity as a Latino. Music is a powerful and influential art form, and with a rise in the popularity of Latin music, the Latino community can now hear songs that celebrate not only being Latino, but also being a part of a country and community that is important to one’s identity. Evelyn’s family is Cuban, and although she was not born in Cuba, it is a part of her identity. Music is one way in which she can express that identity and share her experience as a Cuban American. Cobo, Leila. (2014 Dec 12). "Billboard Year in Music 2014: Enrique Iglesias 'Always Knew There Was Something Magical' About No. 1 Hit 'Bailando'". Billboard. Cobo, Leila. (2018 Sept 26). "Marc Anthony Will Smith and Bad Bunny Team Up For New Song 'Está Rico': Exclusive". Billboard. Flores, Antonio. (2017 Sept 28). "How the U.S. Hispanic population is changing". Pew Research. Moreno, Cynthia. (2012 Sept 25). "Music helps shape Latino identity in U.S.". Vida en el Valle. O’Malley Greenburg, Zack. (2017 Aug 7). "How 'Despacito' Became the Most Popular YouTube Video of All Time". Forbes. Are narcocorridos the new gangsta rap? Could dark tourism bring a light to Latin American issues?